What would you choose, Medium or WordPress? People often get confused while deciding to start a business. Well, users, let’s make this easy for you by comparing both in all the aspects. Most of the bloggers will have a question about the ‘Medium’ platform. Medium is also one such blogging platform like WordPress. Let’s compare WordPress vs Medium to know their entire details. Let’s get cracked in detail! Statistically, it is analyzed that the medium will rule WordPress in a few years because medium offers every feature which we can see in WordPress. ‘Medium’ has excellent growth over the past 2 years. The medium was found in 2012 by Twitter ex CEO – Evan Williams. It is basically a blogging platform with social networking support the network for the free exchange of ideas. A place for thoughtful and authentic voices to collide, converse, and connect. Medium gives people a place to share stories, to interact and engage with them, highlight them, recommend them, respond to them, and build on each other’s ideas. It had 30 million monthly visitors in 2016. To create your own content, you can sign up for a Medium account and start publishing using Medium’s user-friendly editor. You don’t need to create your own website, which is convenient. But that also means that you don’t own anything. You’re doing it all on Medium’s platform. WordPess.org: It is an open source platform that you would have to download and host it on a webserver. Once you have hosted it, it is completely free, you can use it in any way that you want without any restriction. It is a completely customizable CMS and powered many most popular website over the globe. WordPress.com: WordPress.com is a fully hosted blogging platform that comes with different pricing options. All you have to do is to sign up, choose your theme and start blogging. However, its free plan only allows you to start blogging, while it’s premium plan allows you to remove ads and completely manage your site. WordPress was launched by Matt Mullenweg in 2003, it is an Automattic product with more than 74 million users. Approximate 27% of the total websites over the globe is based on the WordPress platform. WordPress is a content management system allows no limits to its users that means you won’t have any control, CSS, and coding. It has free self-hosted premium plans. For anyone who is even remotely active on the internet, WordPress needs no introduction. 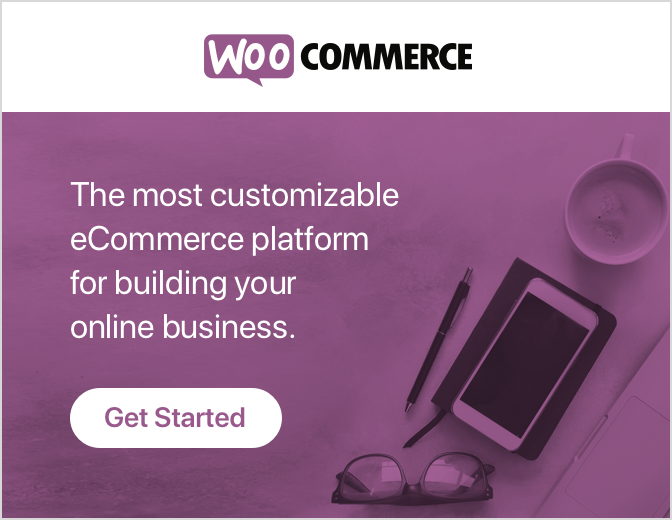 It’s the most popular website building platform and content management system out there, with nearly a quarter of websites and blogs relying on WordPress. Plus, WordPress can be used to power a lot more than just blogs: e-commerce stores, corporate sites, photography sites, news portals, and so on. Price Free Free some add-ons and extensions, but plugins are not. Let’s discuss on advantages and disadvantages of Medium vs WordPress: Have a look? If you have blog content anywhere on the web, the medium can import it. All you have to do is click on the “Import a story” option. After you’ve imported it, you can edit it however you want. Change your title, move around the images, and play with the formatting until you’re ready to hit publish. Medium even adds a line at the bottom of your imported post that says where and when the post was originally published, including a link to the original post. If you’ve already built up a good-sized social media following, there’s good news: yes, you can take your audience with you to medium. So you basically have a built-in audience with no effort on your part. You can link your medium profile to your Twitter and Facebook IDs. Medium will then figure out which of those users are also on medium and connect you with those people automatically. Medium will tell you how many people viewed one of your stories, as well as how many people made it to the end. The average reading time is pretty amazing, usually between 7 and 11 minutes. Engagement on medium is much better than on Twitter. You could get millions of impressions on Twitter, but only 50 actual clicks on your content. That’s because users are spending all of 2 seconds on your tweet before all the other new tweets start flying by. If you post something that’s memorable, inspiring, and interesting, your content might just make a stronger impact on medium than it had initially. Many large publishers no longer accept applications from authors. They’re tired of being inundated with terrible pitches. Sadly, it’s turned into a “Don’t call us, we’ll call you” situation. However, publishers are still finding and adding new contributors to their sites. How? By scouting for popular authors on Medium. As long as you’re consistently publishing great posts, and you have talent and creativity, eventually you’ll hit a home run. Maybe, just maybe, a Business Insider, Huffington Post, or New York Observer might ask to syndicate one of your posts – or even ask you to become a regular contributor. The medium has no API. Although APIs are essential in some ways, they also sometimes ruin social networks. Probably 99.9 percent of spam (like fake followers and people scheduling and tweeting garbage content) is due to aggressive API usage. Unlike on Twitter (which is ridiculously noisy), the signal to noise ratio on Medium is pretty good. Way more of my 52,000 medium followers seem legit compared to your average Twitter “followers”, and the lack of noise has in part helped me become one of Medium’s top authors. Another great way to gain exposure is by starting your own Medium publication. So even if people aren’t following you individually, but they start following your publication, it’s highly likely they’ll start being exposed to your content anyway. Quite a few brands have actually given up on traditional blogs and now just publish on Medium. Do you know the biggest struggle for taking off a new website? It’s the lack of SEO power in it. Medium generates so many backlinks on a regular basis. Moreover, with such great content, it has built an excellent reputation for readers as well as search engines, which helps with higher rankings in SERPs. Moz gives Medium a domain authority of 92/100 — which is way more what you could expect for your own domain. In other words, publishing on Medium offers a rare advantage in today’s competitive digital landscape, i.e., if you write great content and strategically optimize it for SEO, you have a solid chance of ranking for competitive and valuable keywords. Thanks to WordPress, gone are the days when creating a website will cost you an arm and a leg. WordPress designing and development is extremely cost-effective. Also, the upkeep and maintenance expense is relatively cheap as you can do it yourself instead of hiring a designer every time you need to update the content of your site. If you decide to develop a WordPress Theme Website, you can make changes to your site anywhere you are as long as you have access to the Internet. WordPress is SEO friendly. Websites built using WP have simple and constant codes making them ideal for Google indexing. SEO components for each page can also be customized giving you full control on which pages you want to rank high in search engines (i.e. You can focus your SEO campaigns on high converting pages). This is a highly efficient way to earn inbound links to your site. Every time you post a new blog entry, it can automatically go to an RSS feed, making it easier for others to syndicate your content across directories and other websites. With mobile traffic predicted to surpass normal desktop traffic by 2014, responsive web design is no longer an option but a must. When you use a WordPress website design, you automatically get the benefit of responsive web technology without the need to develop separate websites for different devices. Adding new features and functionalities can be extremely cumbersome for traditional websites, especially those that are created using sophisticated platforms. This is the exact opposite for WordPress-based sites. There are WordPress plugins that you can easily install which typically takes just three steps. Further, the WordPress community is very active and almost every best practice is documented. So if you need to add a new feature to your site, chances are, there are other WP users out there that have documented what to do. In an era of online marketing when fresh content is of utmost Important, a WordPress theme website has an advantage over the traditional ones. In seconds you can update your site’s content and you can do so as Frequent as you want without the need to go through several complicated steps. You can also update your site’s design in a breeze making it an ideal platform for tactical campaigns (i.e. Holiday promotions, etc.). Additionally, being able to update your content frequently will help you and your organization build credibility in your niche. Another benefit if you opt to develop WordPress Theme Website is the seamless integration with social networks. You don’t need to login to your LinkedIn, Twitter, Facebook or Google+ accounts one by one and automatically let your social networking community know that you have fresh content for them. One of the primary criticisms against WordPress designing and development, when it was first conceived, is poor security. This myth has been debunked. As long as you have good WordPress web designers and developers, you can fortify your site’s security and make it hacking-proof. The same cannot be said for traditional sites. If you like things different, you can’t do much about it. Medium is a one-size-fits-all platform. So if you don’t like how your content appears on Medium, you can’t do anything about it. You have way less control on Medium than you’d have on your website, obviously. While you could be creative and create leave generation opportunities, Medium does not have a built-in method for consistently generating high-quality leads. This is perhaps can be seen as one of the biggest disadvantages of using Medium. Medium analytics vs. Google analytics? There’s no such comparison there. While Medium does offer great insights and information regarding your published content, it does just enough. On the other hand, if you have a website with Google analytics installed in it, you could uncover so much more about your audience, their behavior, content funnels, etc. Another one of the biggest cons of publishing on Medium is that you can’t leverage the SEO juice your content generates for your own website. When you publish your content on Medium, and those posts generate lots of backlinks and attention, you can’t leverage all that SEO power to propel your own domain up in the search engine rankings. You could have done it had you published the posts on your website. Unquestionably the biggest disadvantage of WordPress is its security. WordPress is an Open Source platform, and it relies heavily on plugins and themes for customization. Both the plugins and the themes are developed by different people and companies and since there isn’t anyone monitoring them, they can easily contain bugs or malicious code lines. On top of this, as stated above, today, WordPress is the most popular content management system. This fact alone makes WordPress a prime target for hackers everywhere. As a matter of fact, according to a Sucuri report WordPress is the most hacked CMS platform worldwide. Simply installing WordPress, is going to help you very much as this platform requires a theme and at least several plugins to work properly. WordPress updates can often render parts of your theme or some plugins usable. The more plugins you use, the more likely it is for you to encounter more compatibility problems. The whole maintenance process in WordPress can be quite challenging, and you have to be ready to make adjustments to your plugins and theme in order to have a functional website. If you don’t have the budget or the knowledge (design, programming), giving the fact that in general WordPress doesn’t offer support, and solutions can only be found on WordPress forums, chances are that you should choose another website solution for you. To make certain change your WordPress site, you have to possess HTML, CSS and PHP knowledge. If you want to personalize in a unique way, or to enhance its design, you may find yourself needing to write numerous complicated code lines. If you’re in the category of people which possess the knowledge, things can go down smoothly, but if you try to write code without having the right expertise — most people in this category, you can make a lot of damage to your website. To compete with Joomla! or Drupal, WordPress needs plenty of plugins to be installed. Unfortunately, these plugins influence the script’s efficiency and not in a good way. Another problem arises when you need to choose a plugin for specific functionality. Among all the thousands of plugins, most of them have their clones. It means, that any given functionality can be added by several different plugins created by different authors. Sometimes choosing the right one may take quite some time. You can get started in a few seconds with medium. Just create your account and start blogging. There are a lot of people love because it provides their users a great experience for writing blogs. However, most of the people consider the Medium editor a good tool than the WordPress editor for writing blogs. Further, medium has many similarities of WordPress Gutenberg editor. Just finish your writing and post it worldwide. Thereafter customize site with plugins and themes. However, many hosts allow you to install WordPress within a single click so that things are almost as simple as medium. You can create your own website with WordPress. With WordPress you can add new features and change your site looks as per your choice via WordPress theme and plugins. WordPress does not restrict your content. WordPress allows you to make money however you want. Medium: It is a free online community where anyone can share their stories. It is simple to use and built-in social networking features. You do not own Medium. It is owned by ‘A Medium Corporation’, and they can decide to close, announce new pricing plans, or cancel your account at any time. WordPress: It allows you to own your own content. As you host your own website, you have full control over your data and who you share it with. Medium: Using Medium, you are publicizing their brand with your own stories which you don’t get paid for. If you are not a popular author, the biggest possibility can be that Medium users would remember reading a story on Medium without reminding your name. Medium is also a network which means content from other authors gets visible as next stories below your own story. Taking your users far away to read articles by other authors. WordPress: On WordPress, you have full authority on how you want to publicize your brand. As your site grows in recognition, you alone decide how to take advantage of your content and brand recognition. Your content and ideas are acknowledged by your name alone. As you have full control of your WordPress site, you can do a lot more to enhance the time users spend on your site. Medium: It grants you to select a layout for your publication. You can add your own logo or image to the header. For the layout, you can select the grid or stream based layout. This drag and drop editor is very simple to use and offers multiple customization options. But, still, your publications appearance will be limited to the choices available in Medium. You cannot select your own design and layout for your website. WordPress: There are thousands of free and paid WordPress themes available. These themes are designed by professionals with creative designs and unlimited customization options. WordPress gives you the flexibility to create a site that looks differently yours. If you can spend a little more, then you can hire designers and developers to build any kind of website possible. Medium: The medium allows you to move your data in HTML format. This makes it hard to export your data into other platforms like WordPress. Responses and likes in your articles cannot be exported. Setting up redirects from Medium to WordPress is almost impossible. If you are using a custom domain on Medium, you will have to manually set up a redirect for each story. WordPress: It gives you the freedom to move all your content as it is an open source platform. You can import or export your data from WordPress by using importer plugins. You can also import/export users. WordPress also comes with amazing backup plugins that allow you to restore and move WordPress site to a new host or even a new domain name. Medium: It comes with large documentation and a ticket based support system. Now, support is free for all users. Answers are contributed by Medium staff and their response time depends on the number of pending support requests. WordPress: It is a community-driven project. It influences more than 26% of all websites on the internet. Free community support is available through WordPress.org website. You will find WordPress support on endless third-party platforms like Stack Exchange, YouTube, SitePoint, etc. Medium: is a fully hosted platform, which means you don’t need to worry about the software. Your content is served by highly secure Medium servers. Your private information is kept secure using industry standard security measures. 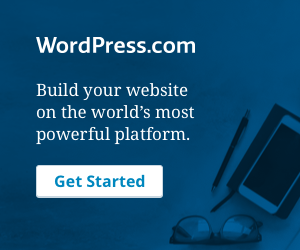 WordPress: is a self-hosted platform. This means that you are answerable for the safety and security of your website. WordPress is well-known for its quick response to security issues with actual updates that are automatically installed on millions of WordPress sites. Medium: When you are posting using ‘Medium’ that defines you are sharing your stories and promoting the ‘medium’ platform. Until you are a popular writer your visitors will not be remembering your name. WordPress: On WordPress, you have the full control over your website and you can publish your own website. You can decide to make your website growth and after your website starts growing you can merge the content. Medium: is completely free. While it doesn’t sport all the features WordPress does, and you can’t get a custom domain (for now), everything that is there is free. WordPress: “the software” is open-source and free. You can download it from WordPress.org and install it on your own website. Most hosts have one-click WordPress installs available, which makes WordPress both particularly easy to install and get up-and-running with. WordPress allows you to use a WordPress subdomain (i.e. something like yourwebsitename.wordpress.com) as your blog’s web address. This is free to do, however, with a free WordPress.com account, you won’t be able to access a lot of WordPress’s functionality. Unless you upgrade your account, you’ll only be able to use basic customization options — and plugins aren’t available for use at all. A premium plan costs $99/year, or you can just get a domain name that you can use instead of the WordPress.com name for $13/year. Medium: The writing experience on Medium is miles above what WordPress offers. Actually, there are no complications; it’s just you and your content. What makes this even more influential is that you’re actually editing content the way it will look when it will get published. WordPress: does have a visual editor, but more often than not theme makers don’t trouble to add the special CSS important for it to look like the final content. Even if they do, it’ll most likely differ since the editor isn’t in the same environment as the rest of the website. Medium: When it comes to how easy to use either of these platforms is, Medium comes out on top for the most part. WordPress is a behemoth, and it shows. Countless post options, editor buttons, site settings, plugins, themes, and all the bells and whistles give you a lot of power but at the cost of usability. WordPress: is by no means complex to the point of being impossible. That said, it does have a much steeper learning curve than Medium. The medium has a smaller feature set, so consequently, they can implement it with much more attention to detail. Medium: feels more like a band of talented writers. There are so many WordPress sites with a wide variety of content and quality that you don’t really know what to expect when you arrive at a site. However, when you arrive at a publication or article on Medium, you feel that it’s probably going to be good. The focus on following, contributing, and promoting articles all add to this feeling and it makes Medium all the better for it. These types of community features are completely absent from WordPress. WordPress: the software has a huge online community, there isn’t a “writer’s community” per se. WordPress.com does not position itself as a publisher at all. There are loose ties between websites, and once you have an account you can follow other blogs, but the functionality is limited and not too prominent. Medium and WordPress.com are mainly for writing-focused websites. On WordPress.com, there’s a great deal more room for flexibility since there are simply more options to choose from. If you run your own installation of WordPress, that’s when things really start opening up. Whether you want a chat application or a website to sell your music or handmade bottle openers — you can do it all. The question is what’s your blog and what you want to achieve? There are two words – Brand and Personal that can differentiate between Medium and WordPress. In this digital world, everyone wants to create their own professional or personal brand to share compelling stories. After all, to create your personal brand or share your stories in the form of blog then Medium is the best place. This is the best platform for beginners. It is very easy to use and simplistic. And if you want advanced blogging and fully customization, e-commerce, and opt-in forms then WordPress.org is only one of the best options. Now, depending on your requirements and core blogging objectives you have to decide which platform you want to access. That’s All! we have covered up yet what is WordPress and Medium and comparison between them, but now we will show you how to move from medium to WordPress. Unlike the medium, WordPress is a self-hosted platform. Means that you own and control each aspect of your WordPress site. First, you have to install WordPress and setup it. After that, you will need a domain name and web hosting for WordPress. We recommend using the Bluehost because this is the official hosting company. To know more, read our guide on how to choose the best WordPress hosting. After signing up for hosting, you have to install WordPress. You can see our guide 4 Simple steps to install WordPress. After installing and setting up WordPress, you are ready to migrate your content to WordPress. However, the Medium is an innovative publishing platform with a lot of features that help you publish your stories easily. Although, when it comes to removing your data, they don’t currently have the best tool for it. With this guide, you will be able to move your articles from medium to your WordPress site. However, you will unable to import your followers, likes, and responses to your articles. If you have a custom domain setup in the middle, then you may be able to set up redirects manually from your medium publication on your WordPress website. However, you have to do it manually for every article. Now let’s see how to export your data from Medium. To do this, log in to your medium account and click on your profile picture on the top right corner of the screen. From the fly down menu, click the ‘Settings’ link to access your Medium account Settings page. Now, you have to scroll down a bit to the ‘Export Content’ section and then click the download zip button. Also, it will take you to the export content page. Now you need to click the Export button. Then the medium will prepare a zip file with your articles and email you the link to download it. This email can take some time, so periodically check your inbox for an email from the medium. Inside the email message, you will see a link to download your export file. Thus, go ahead and download the zip file to your computer and then extract it. Inside the extracted folder, you will find your middle article in plain HTML format. Also, you will get an XML file called medium.rss. Now you are ready to import your content into your WordPress site. The first thing, you have to go to Tools>>Import page and click on RSS link. However, it will bring a Popup to import RSS Importer plugin. Now you have to click the install button to continue. Now WordPress will download and install the RSS Importer plugin on your site. You must click on the ‘Activate plugin and run importer’ link to continue. Next, you have to click on the select file button and choose the medium.rss file from your computer. Click the ‘Upload and Import File’ button to continue. Now WordPress will upload the middle.rss file and will import your articles. After successfully importing the articles, you will see the number of articles imported as posts with an ‘All done’. You have successfully imported your article from medium to WordPress. The RSS importer will unable to import images from your medium stories into the WordPress Media Library. Those pictures will still be visible. But they will be loaded from the medium servers. We recommend that you import those images into a WordPress Media Library through a plugin. To do this, you have to use an Import External Images plugin. In case your medium stories had a medium.com URL, you cannot setup redirects. If you were using a custom domain for medium publication, you can set up custom redirects in WordPress. First, you will require to obtain all the URLs of all your medium articles and save them in a text file. Next, you will have to start setting up redirects for all of your articles. So basically, if you just want to write and get your content seen in the easiest way possible, WordPress is a great option else spending a little effort and money to set up your own. WordPress site is going to be a better long-term decision if you’re serious about creating your own brand. We hope that this article helped you choose your preferred choice, Medium or WordPress. If you have any problem, talk to our WordPress Technical Support Team to get help related to WordPress, dial +1-844-275-0975 (Toll-Free). WordPress vs Joomla vs Drupal: Which is best CMS for your Website?